The best defense against damage from bright sunlight and high-energy visible light (violet/blue light) is a quality pair of sunglasses. These types of light can lead to serious eye problems, including photokeratitis, cataracts, ptergium and eye cancer. Polarized sunglasses can reduce glare which may improve visual clarity and comfort and, with all the lens technology and design for both prescription and non-prescription lenses, they can be very attractive too. These lenses reduce glare from water, snow, road surfaces, hoods and windshields from cars, almost everything from a horizontal surface. This is also useful in fishing because it allows the wearer to look through the glare reflected off the surface and see into the water below. Polarizing lenses are considered the best lenses for overall comfort and protection. Recently, they have added a fashion component where the lenses are gradient in color (darker at the top and lighter at the bottom), and available in both single vision and progressive multifocal lenses. Polarized sunglasses can reduce glare which may improve visual clarity and comfort and with all the lens technology and design for both prescription and non-prescription lenses, they can be very attractive, too. Trendy and popular mirrored coatings- applied to front surface of lenses- deflect additional light from transferring through the lens, however it does not deflect UV radiation. The mirror color doesn’t affect the color of the lens the wearer looks through, but changes the visual appearance when looking at the wearer. When it comes to sunglasses, gray lens color is generally considered standard with the other most popular color being brown. Gray lenses appear to be darker and keep colors in your view more natural and true. Brown lenses distort colors slightly but also provide better depth perception for the wearer. Brown lenses also seem to provide more daily wearable time for the sunglass wearer as they may be worn earlier in the day and later into the evening. While still being dark in color, the ‘color contrasting’ effect of brown lenses are comfortable on overcast days and can be worn for a longer period of time, particularly for driving. 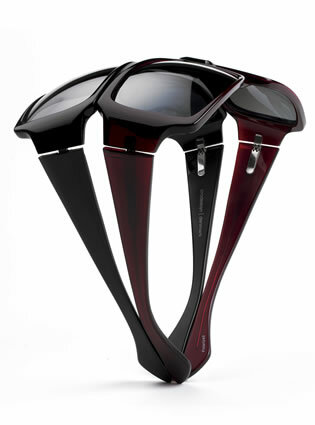 While the different colors of lens tints provide for fashion accents on lenses, they can also help with your vision. Blue, red/rose and purple lenses are mainly cosmetic. Orange and yellow lenses increase contrast and depth perception and may provide benefits for low light conditions -like driving at night. These tints also have benefits for pilots, skiers, and hunters and on shooting ranges. Combined with Anti-Reflective coatings, visual acuity may be greatly enhanced, no matter what the tint color. While wide temples (ear pieces) on sunglasses also prevent bright sunlight from entering the visual field it is important to be mindful it may also occlude your vision from the side. Frame selection is important when considering this style of frames and our opticians will help select the best fit and performing sunglasses for your needs and lifestyle. Talk to any of our opticians about your particular needs and concerns about your sun lenses. We will be happy to help you find the perfect application. Did you know that emergency rooms treat more than 40,000 eye injuries each year from sports-related incidents? Any sport where an object is airborne or other athletes are in close proximity is an opportunity for an injury – a racquetball can travel up to 200 mph! Flying objects aren’t the only issue – more eye injuries happen during basketball and swimming than any other sport. As coaches, parents and players are becoming more informed about the need to wear appropriate eyewear; the risk of eye damage is reduced and players are able to see better because protective eyewear is available for most any prescription. Many athletic and fitness clubs require eye gear for specific activities. Doyle Opticians and Marcus Opticians offer specialty eyewear for protection for all your activities and hobbies whether it is in the water, on the slopes, hitting the trails- whenever or wherever you are enjoying your favorite sport -inside or out. 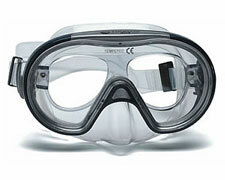 Prescription swim goggles and dive/scuba masks are also available. For your safety, your protective eyewear will only be made in shatter resistant, UV filtering polycarbonate material. We, as your opticians, can help you make the best choice for your particular sport of choice.